Amazon Web Services (AWS) is, the elephant in the public cloud room. The generally accepted triumvirate of public cloud vendors, AWS, Microsoft and Google, all have their particular attributes. For Google it is the immense scale they can leverage from their search and other businesses -- no one is a better cloud operator than Google. For Microsoft it is their incredible exciting customer base in the enterprise -- when it comes to public cloud vendors, Microsoft has the best enterprise history. For AWS, it is the fact that they literally invented the public cloud and have been laser focused on it for close to 10 years. In the decade or so since AWS was first launched, there has been much discussion about the ecosystem around it. More specifically, there has been plenty of hand-wringing about AWS product innovation, and how much that impacts the viability of the businesses built around AWS. Anyway, that's a big existential question that will resurface every time AWS makes a product announcement. For now, however, it's time for a wrap-up of AWS news from day one with some suggestions of whom each product announcement might impact. Amazon QuickSight is a business intelligence service for AWS that is designed to help customers rapidly start visualizing their data. QuickSight is already integrated with existing AWS services such as S3, RedShift, DynamoDB, and Kinesis. With these integrations, users can share analyzes with other users, embed visualizations created from the analysis, and create live dashboards, either on the web or within mobile applications. 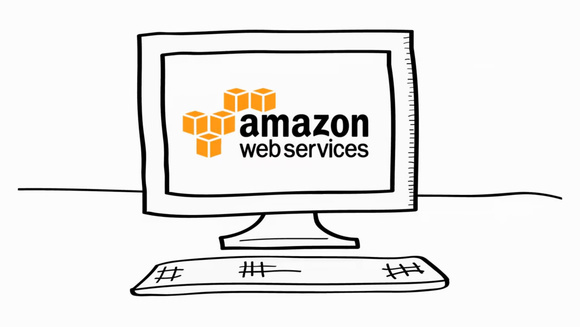 The service itself leverages a new in-memory query engine from AWS. SPICE (short for Super-Fast Parallel In-Memory Computation Engine and AWS promises that it be much cheaper than comparable services from other vendors. MyPOV - Collateral damage: Competitors such as IBM and Microsoft, but also a range of visualization vendors like Chart.io and Birst. Assessment of likely impact: Huge, AWS has commoditized yet another part of the market. Amazon Kinesis Firehose is a new service that is aimed at helping organizations move the data that is streaming from sensors and other connected devices directly to the cloud. Kinesis was launched a few years ago, but AWS suggests that taking the streaming data and building applications on top of it were just taking too long. The new service resolves that issue and allows developers to work with data via a single API call to Firehose. Data can be dumped into Redshift and S3 and organizations can start working with it immediately. Compression and encryption occurs on data ingress, and AWS offers flexibility in terms of time intervals and data limitations. Firehose is, obviously, an important piece of plumbing for the Internet of Things and will be attractive to organizations looking to leverage sensor data. MyPOV - The world of technology is busy talking about the IoT but building IoT solutions is still too hard. This is a natural area for AWS to move into and leverages both macro changes and the core AWS platform. Collateral damage is wide -- from the standalone IoT platforms to the mega vendors looking to build offerings for IoT (Salesforce, Cisco, Pivotal). Too early to tell how much of a blow Firehose will be, but to anyone already living in an AWS world, Firehose would seem to be the most logical way to meet this need. Simple, but smart. Amazon Import/Export Snowball is a physical appliance that helps AWS users ship huge amounts of data to AWS for importation into AWS storage. While it might be a little counter-intuitive for a public cloud vendor to do hardware, Snowball, an appliance which holds up to 50 terabytes of data, is a natural answer for large archival needs. Snowball is built tough and can withstand a 6 G jolt. It is entirely self-contained and includes power and network connections. In terms of cost -- each import/export will cost $200. The first 10 days of onsite usage are free, each extra day on site will cost $15. Amazon will not charge for data importation from Snowball, but will charge $0.03 per GB for export. Data ingested from Snowball will currently by uploaded to S3 Standard int he Oregon data center. One suspects other regions, and Glacier support, will come soon. Amazon Inspector is a cool service that analyzes an AWS customer's instances and reports back on any security or compliance issues it finds. In a world where information security is a growing concern, and breaches happen on an almost daily basis, this is a fantastic offering. Useful for regulated industries (financial, health, government etc) as well as more regular ones, the service has a two step value proposition -- it generates a report highlighting vulnerabilities or areas that are not compliant and it also offers advice on how to fix those issues. Not as big as the other announcements, but still important for those who live in the database world, AWS had some interesting related news. The company announced a number of tools to help organizations run production databases on the AWS cloud. Included is a new database Migration Service that helps companies move their databases to AWS. The tool promises a 15 minute set up time and a lower bottom-line run cost. Alongside that tool, AWS announced a Schema Conversion Tool, a free piece of kit that automatically changes schema and database code to ensure existing database tools work on AWS. Finally, AWS announced a new database engine for the MariaDB SQL database. When kicking off Re:Invent, Andy Jassy, SVP of AWS gave some statistics that gave people an insight into jut how big this beast has grown. AWS has passed 1 million active business customers and is now a $7.3 billion business. The AWS database business alone is currently on a $1 billion revenue run rate. AWS has grown by 81 percent year on year with AWS EC2 business growing 95 percent and S3 business growing 120 percent. Little surprise then that Accenture, the major consulting firm that only a few weeks ago announced its acquisition of cloud consulting company Cloud Sherpas, used the show to announce an entirely new business group focused on the AWS opportunity. Overall, day one of Re:Invent was another example of the scale and pace of AWS' growth and innovation, and a grim reminder for those looking to develop products around what are peripheral product opportunities today. Those peripheries may well become core to AWS down the line.